When me and my Little Angels were invited to the Celebrity Workshops which was held over 4 days from 4 to 7 June 2015 at 5.00pm to 6.00pm daily, we felt really excited as each workshop was conducted by celebrities such as Puan Fatimah Abu Bakar (featuring Kaameshaa, Zhafir and Juzzthin), Dynas Mokhtar, Pietro Felix and Nabil Mahir . 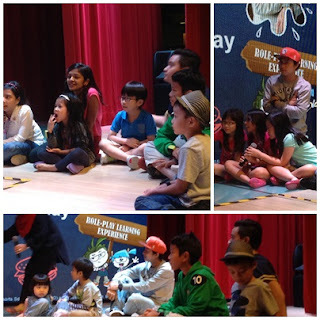 Held in collaboration with Pixel Play, the workshops featured topics ranging from preparing for casting calls to exploring the creative mind, with the purpose of teaching and exposing kids and adults alike to the skills in theatre and creative arts. The workshops kicked off with Dynas Mokhtar on 4 June to eager kids and parents who were interested to know about how to prepare for casting calls. She encouraged potential talents on being confident and demonstrated on how to carry themselves well. 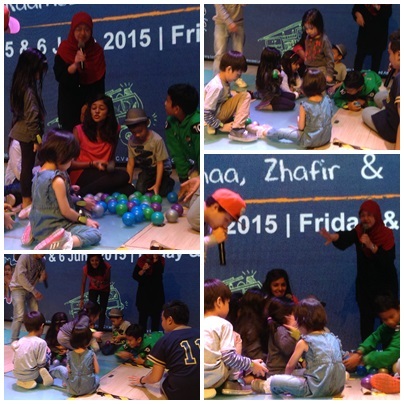 For two consecutive days from 5 to 6 June, Puan Fatimah Abu Bakar and her energetic assistants Kaameshaa, Zhafir and Juzzthin brought everyone on a journey of the creative mind and imagination through visualisation. It encouraged kids to unleash their creativity and giving them a sense of empowerment. The workshops concluded on 7 June, whereby Pietro Felix and Nabil Mahir collaborated to teach skills needed to be confident on stage. They encouraged kids to express themselves and helped to build their confidence with the activities that they have prepared. Overall, it was educational, fun and interactive. Kids were looking at the acts, discuss and answer it correctly. Named the ‘Best Experience for Kids’ in Expatriate Lifestyle’s Best of Malaysia Awards 2014 for the second consecutive year running, KidZania Kuala Lumpur goes beyond traditional teaching mediums to continuously look at opportunities to expose kids to new experiences and endless occupational possibilities. Puan Fatimah Abu Bakar ask the kids to close their eyes while she ask the kids to imagine the colour, the bright, the garden and the butterfly. Once the kids woke up, she ask them what they had seen and different kids have different imagination. For more information, visit www.kidzania.com.my or call the KidZania CareLine at 1300 88 KIDZ (5439) or get connected with KidZania through Facebook at FACEBOOK or tweet them at @KidZaniaKL. 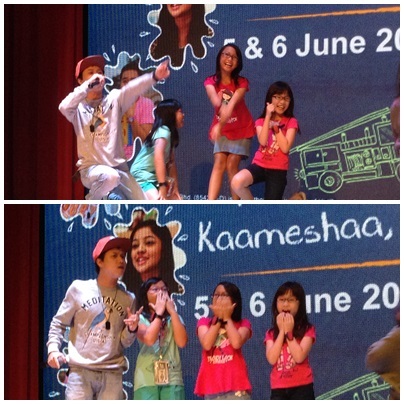 Thanks to Kidzania for having me and my Little Angels there to explore the workshop during school holiday. It is a great workshop as from the workshop, I had learned that acting will create a great imagination and a creative mind. For kids who love to act, join Kidzania for a fun acting session so that their inner talent will be polish and reveal one day. Who knows, one day, your kids will become a famous international actor or actress like James Bond, Jackie Chan, Michelle Yeoh etc that gain a great reputation for their great talent in acting. nice nice! yes, kids should pick up some acting (but not too much, if not very fake). So nice KidZania always organize interactive events like this. I love Kidzania. Is a good learning process for children.